Appliance Factory Fine Lines, formally known as Contract Appliance, is a family-owned luxury appliance store based right here in Colorado and have a location in Ohio. We serve contractors, designers, and the discerning consumer. Appliance Factory Fine Lines is Colorado’s expert in luxury appliances for designers, builders and remodeling professionals. Locally owned and operated in the Denver Metro Area. 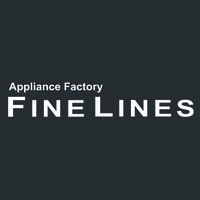 Appliance Factory Fine Lines is the premier luxury appliance dealer in Colorado and growing in Ohio. We showcase an extensive collection of high-end appliances: Viking, Thermador, GE Monogram, LG, JennAir, Dacor, Miele, and many more. Our professionals stay up-to-date with the latest innovations in the appliance industry and are prepared to help you tackle any size project, residential or commercial.